Event Recap |#NCWineMonth September 2018 Kickoff, A Celebration of #NCWine + Featured Wineries To Try! Hey Wine Lovers! It is time to raise a glass and support your favorite NC wineries because September is North Carolina Wine and Grape Month. This is the time of year vineyards and local wine makers are celebrated and recognized for helping North Carolina become the 7th highest wine producer in the nation! The NC Wine Guys hosted their invitation only kickoff event at the famous Norris House in downtown Raleigh. This historical home was the perfect venue to promote the upcoming month and feature some regional wineries. After the presentation of the Governor’s Proclamation which officially sanctioned the month of September, guests had the chance to network, and eat from a spread of spectacular breads, cheese and meats provided by local favorite La Farm Bakery. La Farm Bakery eats are the perfect pairing to NC Wines! Guests also had an opportunity to taste wines from different wineries across the state, showcasing what North Carolina Wine is all about. Got To Be NC wine glasses were provided to sample over 25 wines from 8 wineries. Want to know how to effectively taste a number of wines and appreciate them all at an event? Here is a Pro Tip to Wine Tasting provided by NC Wine Guys! Swirl – take a moment to swirl the wine in your glass to get some air into it. Smell – stick your nose right into the glass and sniff. Sip – take the wine into your mouth, swish it around, and see how it tastes. Spit – this is important as you’ll be tasting about several wines. *Spit cups, dump buckets, and water were provided. I was quite impressed by the variety of the wineries that we had the pleasure of tasting yesterday. Most have tasting rooms and winery tours on their property that I look forward to visiting! Be sure to check out their websites for more details. One of my favorites was the High Country Rosé~a dry seasonal wine that would go great with baked salmon. Their use of French-American hybrids of grapes and the elevation to which they are grown is what gives thwir wines a unique taste! I just loved their Starbound Dessert Wine. This blueberry wine is fortified with Brandy and aged in Oak Barrels for at least a year. It was my first time trying it but will not be my last. It retails at $19.99 at selected Harris Teeter. Their Petite Manseng wine is simply fabulous. Grown on their 85 acre vineyard, this award winning white is something to behold. If you like dry, European styled wine, then I would recommend wines from this family owned winery. As reviewed by Epicurean Magazine in Charlotte, watch my video and hear more about why red wine lovers enjoy this full bodied white! Located on the iconic 8,000 acre Biltmore Estate grounds, their Chardonnay is aged in both steel and oak barrels which gives it a distinct finish that I enjoyed. Their winery is mostly self sustainable. So much that the winery vehicles actually run on used oil from their operations instead of gas! No matter if you are a wine expert or novice, I find there is always something to learn from sales/marketing managers and tasting room managers of wineries. We spoke with Micah Habershaw, Assistant Tasting Room Manager of Raylen Vinyards, who gave us ideas for food pairing choices with their fruit forward wines. For example, their 2016 Petit Verdot would be great with lamb chops and grilled salmon with 2017 Rosé of Cabernet Franc. I tried their Scarlet Mountain Red Table Wine, which is their best seller. If you like a red that is not too sweet and straight down the middle, this would go well with any red sauce dish you could think of! Also in attendance was Cybress Bend Vineyards from Wagram,NC , Junius Lindsay Vineyard from Lexington,NC and Sanctuary Vineyards of Jarvisburg,NC. From the mountains to the coast, wines from every region were represented at this kickoff event. These featured wineries truly exemplify the diversity of wines found here in our great state of North Carolina. This was the 2nd year of this event hosted by NC Wine Guys and North carolina Wine and Grape Council. What a great introduction and celebration for North Carolina Wine and Grape Month. Help spread the word about North Carolina wines and be sure to go check out these wineries and buy their wines for yourself or as a gift! Follow #NCWine and #NCWineMonth on social media for information and to join the conversation about North Carolina Wineries throughout the month of September and beyond! Event Recap|@Whiskey_Kitchen #SupperClubNo2 #JapaneseWhisky + #WhiskeyKitchen Eats! On October 18, 2017, Whiskey Kitchen hosted a private (SOLD OUT) event -‘Supper Club No.2- featuring curated selections of Japanese whisky paired with inspired dishes created by Whiskey Kitchen’s culinary team. SobeSavvy.com was there to capture the celebration and give you an inside look of Japan’s finest offerings at this wonderful event! Located in Downtown Raleigh, Whiskey Kitchen is the perfect restaurant for hosting group & private events. Guests who attended Supper Club No.2 sat in reserved seating at long communal tables, which allowed for talking and sharing dishes family-style. The table was nicely decorated and each chair had a Japanese paper fan as a keepsake! When we arrived, we were advised to head to the bar to receive our reception cocktail which was hand-crafted and curated especially for the evening. In this video, bartendar legend Johnny Berry explains how this refreshing cocktail was made! We all received a menu which listed the selection of whisky we would be tasting along with notes for proof, color, nose and finish. In addition to the reception cocktail, there were four types of whisky to try. My favorite was the Suntory Whisky Toki , which is a blended whisky that has hints of vanilla. I just happened to be sitting next to two reps from Beam Suntory who shared that Suntory Whisky Toki is a blend of 3 different Japanese Whiskies aged in different casks. This was Whiskey Kitchen‘s second large scale celebration of whiskey and food and I highly recommend going to their next event. You don’t have to be a big fan of whisky to appreciate the experience with other foodies. This renowned Raleigh restaurant has already made plans to host Supper Club No. 3! More information about more event happenings can be found out by visiting this link. I had an amazing time meeting new people, trying new things and learning about a variety of whisky from Japan. The food was really good as always with Whiskey Kitchen. You should definitely make plans to visit Downtown Raleigh and dine at this restaurant or hang at their beautiful bar, which serves not only whiskey but wine, beer and uniquely crafted cocktails! Hope to see you at the next event. Cheers! Raleigh..and the surrounding Triangle,have you heard?! A new, multi-level bar is celebrating it’s grand opening tomorrow and let me tell you: YOU DON’T WANT TO MISS IT ! Step inside and experience the new 41Hundred Restaurant & Lounge! THE AMBIANCE The new 41Hundred and 41Hundred Lounge has a lobby level and upstairs. I would describe both areas as having a casual ambiance and suitable for hotel guests, North Hill visitors and locals. They wanted to create an uncomplicated space that brings the outdoors inside and I believe they suceeded! THE FULL BAR This is a stylish bar area I would bring anyone to who enjoys good libations. Step to the bar, order beer, wine, a cocktail or drop by for their house-aged whiskey. Come watch a game on any of their number of flat screen tvs or plug in to any of their usb outlets. And ladies whether you are there to work or werk, there are purse hooks by the bar. I love that kind of attention to detail, don’t you?! THE FOOD The food we got to sample was from the sharable plates menu. They offer unique dishes like oxtail poutine and took my taste buds on a journey to Korea with their Korean BBQ wings (pictured above) and my fave dish tuna poke had me on the beaches of Hawaii! And if you just want to satisfy your sweet tooth try the Chef’s Hot Cheesecake or the locally made ice cream exclusively sold there. Come get a taste of shareable plates, you won’t want to share! As per the flyer, come out and enjoy complimentary bites from the 41 hundred menu and drink samples from Topo Distillery, Bombshell Beet Company & Aviator Brewing Company. I plan to be there to support and celebrate! 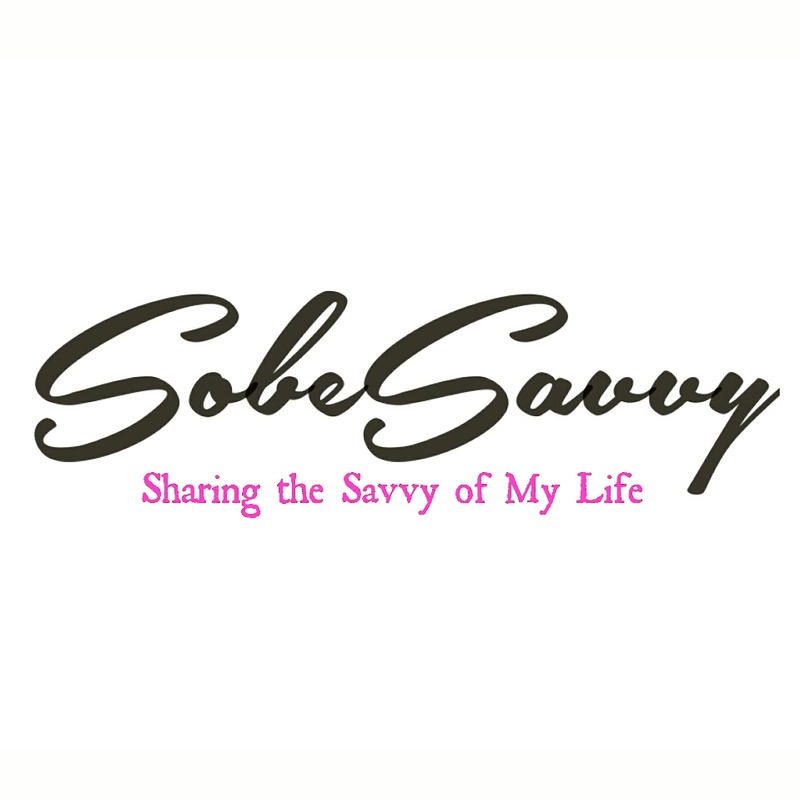 Be sure to follow @SobeSavvy Twitter/IG/Facebook for event highlights. Come out and see why this is not your average hotel bar for yourself. Hope to see you there !